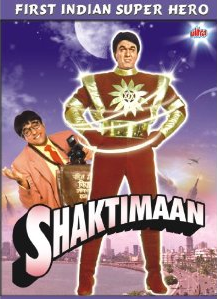 We are welcoming the year of 2014 with our personal reviews for Episode #12 of Hindi TV Serial – Shaktimaan – which is now available on DVD for home viewing. It is about to wake your inner-self up. The Yog (which is often spelled as Yoga) and meditation (if practiced correctly and with full dedication) gives one the power to wake his/her inner-self. Shaktimaan also gets his guidance, refreshing and reinforcing his energy and power using Yog and meditation. He has developed tremendous ability to do the same. In the previous few episodes of this TV Serial we saw that How Shaktimaan finally saves the mankind from Kapala. After overpowering Kapala, Shaktimaan didn’t get time to relax as the enemies of mankind keep their quest to found new and more effective ways to wreak havoc and spread fear. In one such attempt they plant very powerful bombs at various places in the city and schedule explosion of them all at the same time. However Shaktimaan was able to know about the stuff and save the people. How? Well, you can see it on screen. The guru appreaciates Shaktimaan for the tremendous work he did so far. The guru affirms that the people started regaining faith in the truth and slowing giving up the fear of the dark. The work done so far by Shaktimaan make people to be brave to stand against the wrong and fight the dark. It is indeed a great achievement and Shaktimaan should consider it as the first milestone of victory against the dark forces. When Shaktimaan asks the guru that why it is necessary to fight the soldiers of dark one by one as they emerge? Why he cannot kill them all at once and make the mankind free from them? The guru suggests him that Shaktimaan’s aim should not be killing the dark forces, but to fight and overpower them. Because killing someone never resolve any problem. It usually seeds the thought of the another killing. And as the soul of the majority people are corrupted at various level (as everyone became selfish,greedy, doing wrong things – at different level of course), if Shaktimaan think to kill the people doing wrong, he have to destroy the Earth! Shaktimaan’s mission should be to wipe the existence of “which is not true” from the universe. Be active and always do your duty (your Karma). Don’t try to finish the stuff fast (in hurry) and settle on intermediate solutions. Have passions to reach to the ultimate solution and be brave to fight till the end. Your victories made your enemies alert and they are also reinforcing their powers. They will attack with multiplied force and power. They will run you into various tricks and traps. You also need to reinforce your powers in the meantime to be able to face them! The most important thing is to not let the people lose their faith in you! The dialog writers really deserve applause and credit for writing this fantasic conversation. Apart from Mukesh Khanna and Tom Alter, most of the cast performed below expectations. In fact a lot of actors performed with poor acting, for example, the actors playing the minister, Kapala, the goons who are planting bombs etc. During the key conversation between Mukesh Khanna and Tom Alter, the face of Tom Alter also doesn’t seem showing much expressions. May be the mixing of two scenes created the effect. Mukesh Khanna is the top performer of the episode and he looks completely natural. Apart from dialogs, background music is the other positive factor of the episode. The special effects are not convincing in most of the cases. For examples when the dolls are flying to call the guardians of the dark, they look funny and childish. Overall a nice episode focused on moral, ethical and inspirational stuff. One should go for it.